This dug button has a great look! 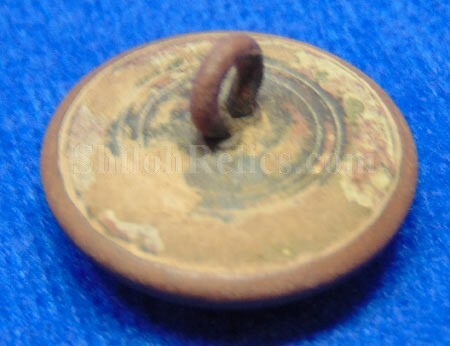 It is an excellent original coat size infantry officer’s button. This is the gold gilded version and it has a good bit of the original gold remaining in just the right places to make the detail stand out. What is cool about this one is that it has the "rose" color gold. This version has a red tint to the gold gilding, hence the name. This is the 2 –piece style that was worn by well-to-do infantry officers. It has the original back and shank is present and is the version that was made without the maker's mark on the reverse. 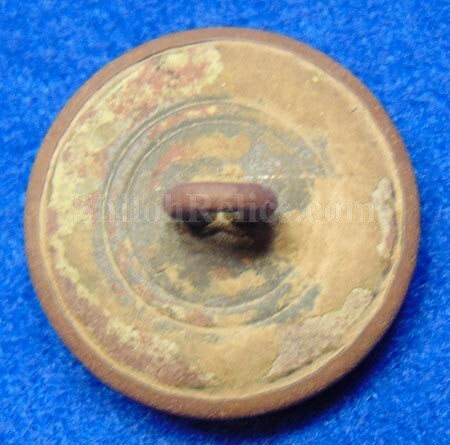 This is the version listed as GI91 in Albert’s book and as GI231 in Tice’s button book. 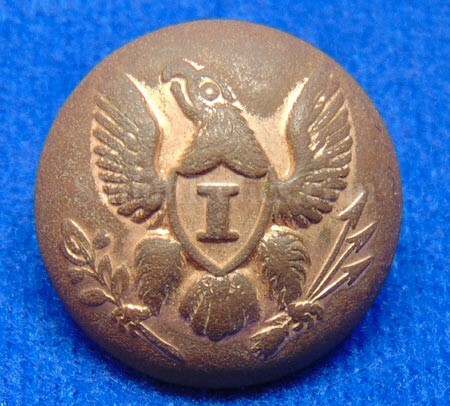 This is a beautiful excavated infantry Eagle "I" pattern button.